Best Mobile App Builder: Swiftic vs Appy Pie vs AppMakr vs iBuildApp & More! So you want to build an app? Is there an app for that? As a matter of fact, there is! If you want to create an app for your business but don’t have the funds to hire a developer, these app makers are for you. Building it doesn’t have to deplete your bank account. Should Your Hire Someone Instead? 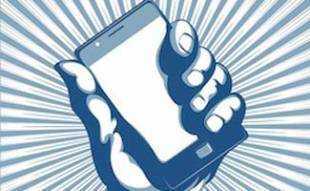 The average smartphone user has 26 apps downloaded onto their device. So why not join the app making world! There are a few things you’ll want to know before developing an app. Since this is a relatively new industry, a majority of these app builders have sprouted up within the past few years. The app industry is constantly evolving. You won’t need to know coding to build an app using these tools. Thanks to app builders creating apps is easier than ever. With most of the companies you pay a monthly fee so contracts aren’t required. Many offer a free version or a money back guarantee.If you’re unsure of how good you’ll be at creating your app, you can test it out first to see how it goes. After your app is live on the App Store, you can make future updates in the app maker so your users can have the most current version. Ready to start building? Read on to learn which is the best app for you. In addition to charging a fee and/or having ads in your apps and generating income from your app that way, many of the companies we reviewed offer reseller programs (meaning after you build your app you can “white label” it and list it on the app builder’s marketplace for purchase by others. Those who purchase your app can then brand it with their own design and take a advantage of having a pre-built app while you make money each time they buy your app. A win-win! However to participate in the reseller program you must pay extra but depending on the service you can list multiple apps for one reseller fee. NOTE: In March 2017 Como changed their name to Swiftic. Swiftic is confident in their apps, and we are confident in making them our top pick. The company guarantees that you will see results within 6 months or you’ll get an extra six months free. Swiftic is our pick for best app maker. The example apps shown on their site have great designs and consumers say the tools are easy to use. They also offer additional features including loyalty programs, push notifications and automated actions. 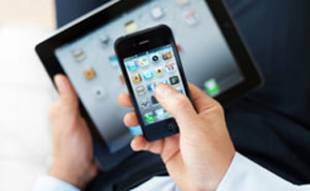 The downside is that the apps are only available for iOS and Android mobile devices. Reviews also state that Swiftic has excellent customer service although we don’t see a chat feature or phone number to contact them. So it looks like email (or their help center online) is the only way to go. They also have an option to hire a pro in case you need a little extra help. Como does not offer a free trial, but they do have a 30-day money back guarantee. At this time we are unaware of any Swiftic coupon codes. Appy Pie makes it easy to create apps for HTML5, Android, iOS, Blackberry, Windows and Amazon Fire OS using drag and drop functionality. However, if you want your apps to be accessible on all six platforms, you’ll have to purchase the Platinum Appy Pie plan, which is $50/month. Appy Pie includes its branding on all apps except for the Platinum plan so there’s a second reason you may want to go with the upgraded plan. AppyPie was launched in 2013, so it is fairly young for this category, but they’ve built apps for some pretty reputable companies including Nike and Home Depot, which is partly why it’s our second pick for best app builder. Discount for military, non-profits, schools and students on annual and lifetime plans. There are not any Appy Pie coupon codes at this time. AppMakr was acquired by Infinite Monkeys in 2013 and functionality has been merged together. So, today they both do the same thing for the same price. 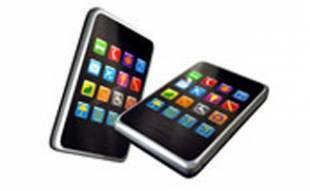 You can create your own iPhone apps, Android apps and HTML5 mobile formatted websites. To make a profit, you can place your own ads in the app and charge money for users to purchase it, too. Both have HTML 5 functionality, high-resolution photo galleries, design customization, live updates and more. AppMakr started up in 2010 while Infinite Monkeys was a year later, making them both some of the more established app makers (and extremely affordable too). 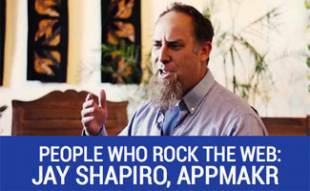 Learn more about AppMakr in our interview with their Founder Jay Shapiro. Unlimited/Reseller: $39/month allows you to create as many apps as you wish (other plans are only for one app) and you can resell the app to other companies if you wish to increase your revenue. There are not any AppMakr coupon codes at this time. Below are the other app creators we’ve reviewed for this article. AppInstitute is a UK-based company that makes building an app for your business easy with their custom branded templates and drag and drop editor. The great thing about AppInstitute is they are completely free until you decide to publish your app to the Apple and/or Android store. They also have a number of features including calendar and booking system, adding rich media like videos and streaming music, loyalty programs, accepting online payments, push notifications and more all with real-time stats! AppMachine is an app builder based in the Netherlands that scans your existing website to create a recommended app based on your site’s content. Like AppInstitute you can build for free as long as you’d like and you only pay once you hit publish. They also have an app academy to learn more about how to create and promote your app. However, their pricing is on the more expensive end and based on the features we didn’t see any compelling reason that they’d be worth the extra price. iBuildApp has been around since 2010 and has more than 15,000 entities using their apps including universities, government agencies and corporations like Whole Foods. They have easy to use drag and drop builders, thousands of templates to choose from and 25+ features to customize your app. You can update your app at any time and there is even a team available to ensure you have the guidance and tools you need to get your apps published. iBuild App offers a 15-day money back guarantee. Nativ lets you start creating an app within seconds with no login, credit card or required info. Simply click on the “start building” icon and it takes you straight into their editor where you can select a layout, pick colors, fonts and apps while previewing the app on the right side of the screen in the real-time previewer as you make selections and changes. They have a basic version to test out but if you upgrade you’ll get access to more insights, be able to send push notifications and more. If you need extra help, you can hire a designer to build it for you for only $200. The only downside is the app is only available for iOS (at the time of publishing). Shoutem is an app creator tool that offers one set price for unlimited support, similar features and ongoing updates. You just pick the level that fits the operating system you wish to use (the higher priced plans also offer additional features). Features are similar to the other services in that they include events, loyalty programs, social integrations and more. They also offer optional packages that include professional or enterprise set up if you’re looking for something unique or need a little extra help. Why Not Hire Someone To Develop An App? Hiring someone for a job can be a bit scary and the same goes for building apps. Now you don’t have to worry about hiring someone like Dennis (watch the video below) because you can learn how to develop an app yourself using app builder software. But, don’t worry, if you need a little extra help, some of the services we reviewed offer professional app designers at an affordable price. Are There Additional Costs To Building An App? As of May 2015, Android users had 1.5 million apps to choose from while Apple users had 1.4 million 1. So you’ll probably want to have your app available in both the Google Play Store and the iTunes Store since they are the two largest App Stores. Typically you have to pay the store to have your app available for download. Apple charges a $99 annual developer fee and Google Play charges a one-time fee of $25. That’s not cheap, but hopefully your app will be getting a lot of downloads and eventually you can charge a fee or even put ads on your apps. If you’re interested in finding some apps to help with your effectiveness, you should check out these apps for business productivity. Who knows, maybe one (or more) of them will help you create your app faster and better. What app ideas do you have? take the more cautious approach and fully disclose any of the permissions that MAY be required so that our users fully understand the implications of all the elements that could ever be included in one of our apps.” HUGE problem because any app you build with them will warn a user that your app needs access to their calendar, contacts, web browsing and can make calls on their behalf. Never use them! I would recommend checking out Bizness Apps. I use them currently and looked for weeks for an app maker for my clients. The above builders don’t really offer any features that a small business would use, like loyalty programs, food ordering, mobile commerce etc. Bizness Apps has all of this and more, a little more advanced app builder, but definitely worth checking out.